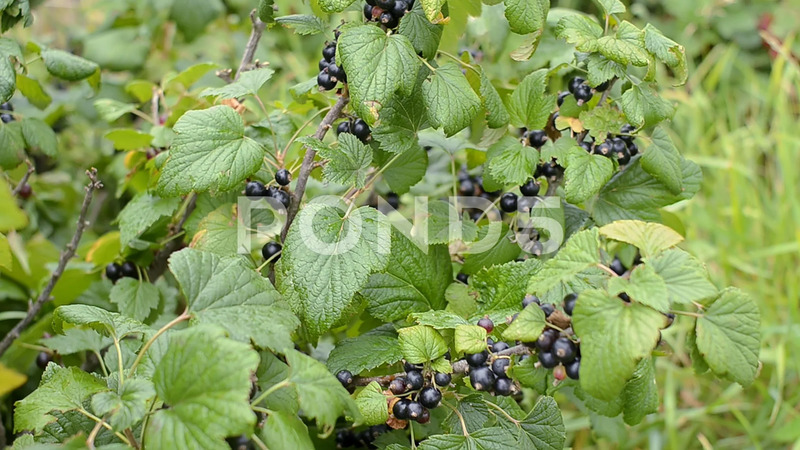 Description: Branch of fresh organic black currant in the garden. Selective focus. Windy weather. Closeup shot.